TinkerTool System 5.90 – Change advanced OS X settings and more. Added new feature to check whether the nesting of folders with long names may cause technical issues in some applications, when the maximum number of bytes in absolute file paths that is guaranteed to be supported by the operating system is exceeded. The application now makes the user aware if an old license with manual registration entry has been activated with the option to become valid for a non-administrative user account only. This configuration no longer makes sense, so the registration should be re-entered with the option to become either valid for an administrator or for all user accounts. The application no longer offers evaluation mode without license to non-administrative users because such accounts would not be capable to test all features. The application now makes clear that the diagnostic feature to test fans cannot be used with the iMac Pro at this time. The option not to wake mobile computers when the display lid is opened had to be removed. Although this setting is still offered and documented by Apple, it no longer has an effect on portable Macs. Fixed a problem where the toolbar button in the control window to navigate to the pane overview could not be pressed in certain situations. Next story LaunchControl 1.38.1 – Create, manage, and debug launchd(8) services. Previous story Made for Facebook 1.0.10 – The Most Powerful Facebook App for Mac. CleanGenius 5.0 – Clean up junk files and monitor disk space. f.lux 37.7 – Adjusts the color of your display based on the time of day. 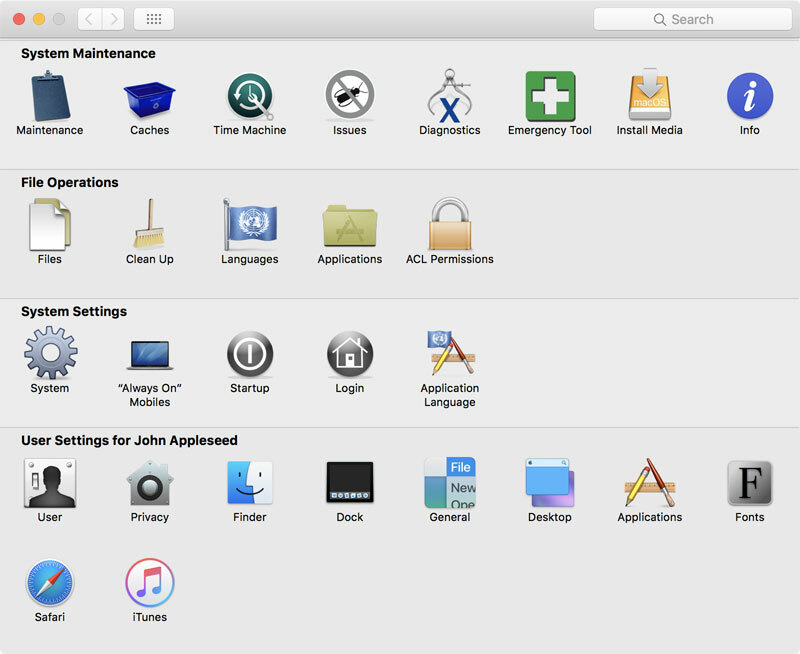 MacPilot 10.15 – Enable over 1,200 hidden features in OS X and other apps.